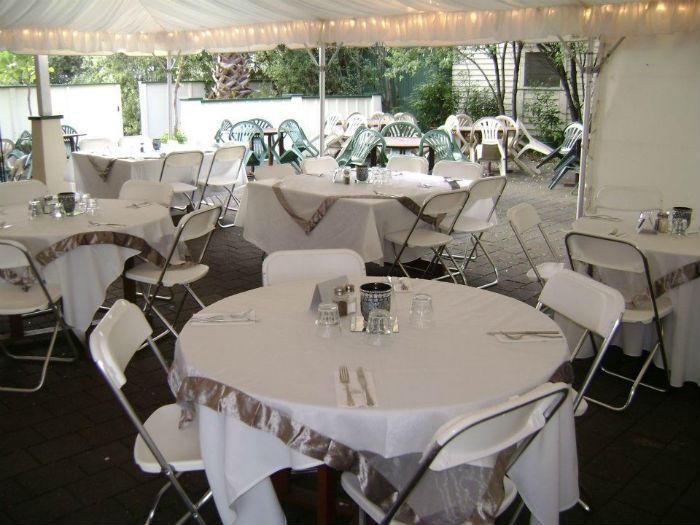 Wedding breakfasts and private parties can be accommodated both inside the main restaurant and out in the courtyard. 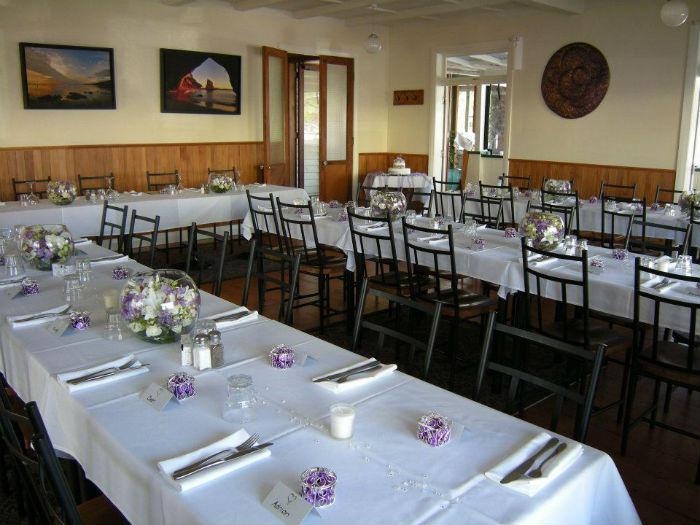 Pretty, rustic restaurant in the heart of Coromandel Town, available for wedding and private function hire. 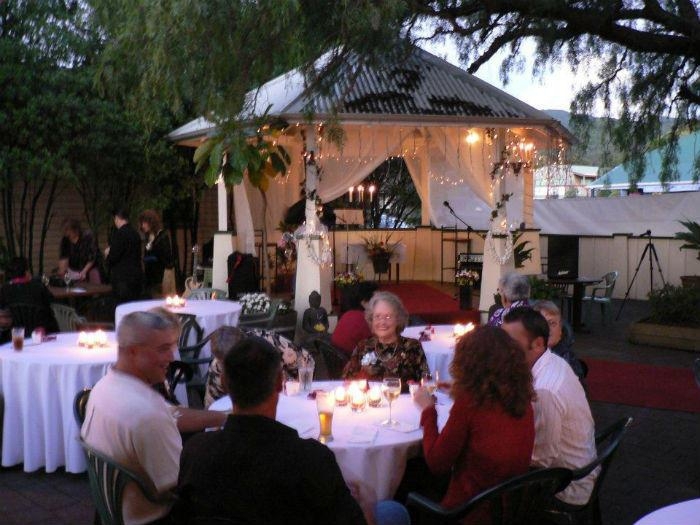 Very romantic setting with options of indoor and courtyard seating. 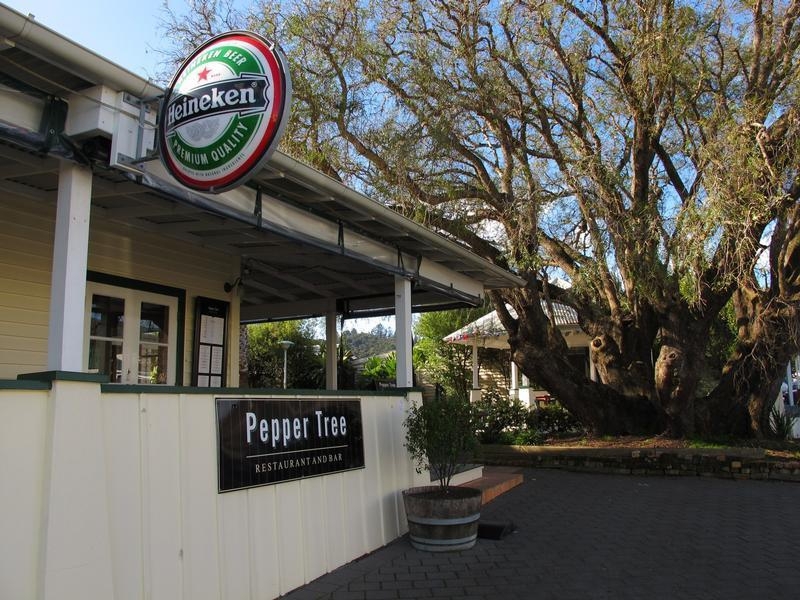 The Pepper Tree Restaurant is at the centre of village life in Coromandel. The 90-year old pepper tree in the courtyard is a local landmark, and a popular place under which newlyweds like to take their first kiss. 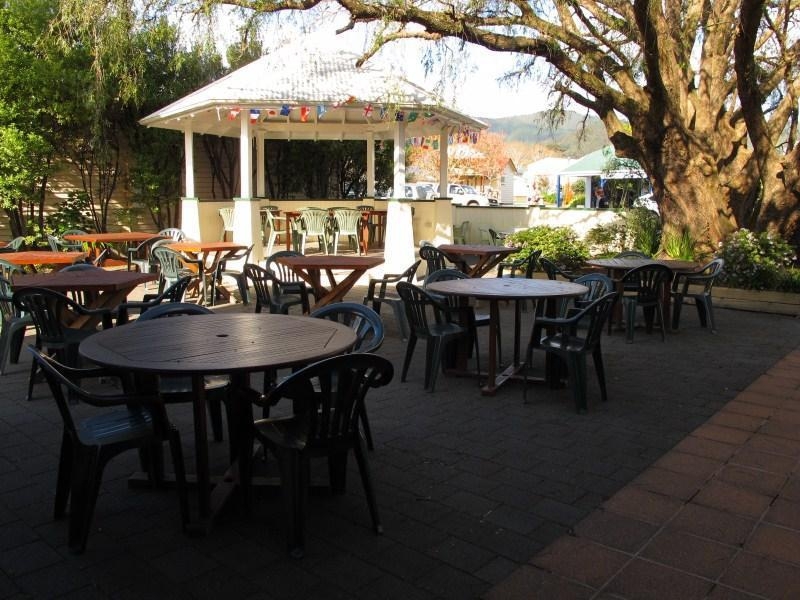 Wedding breakfasts and private parties can be accommodated both inside the main restaurant and out in the courtyard. 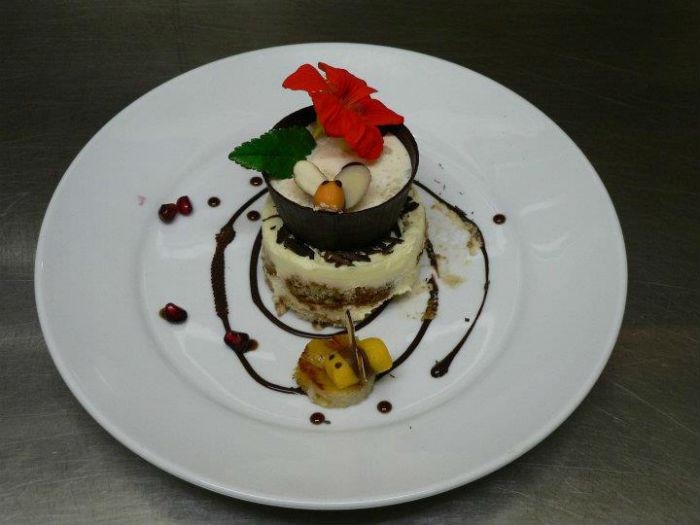 Canape, banquet and set menus are available. 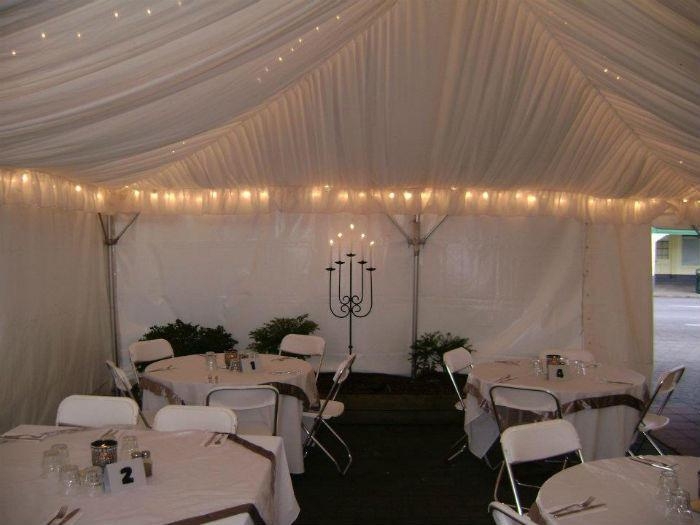 There is also space for a small marquee, plus use of the small stage/bandstand area in the spacious courtyard. 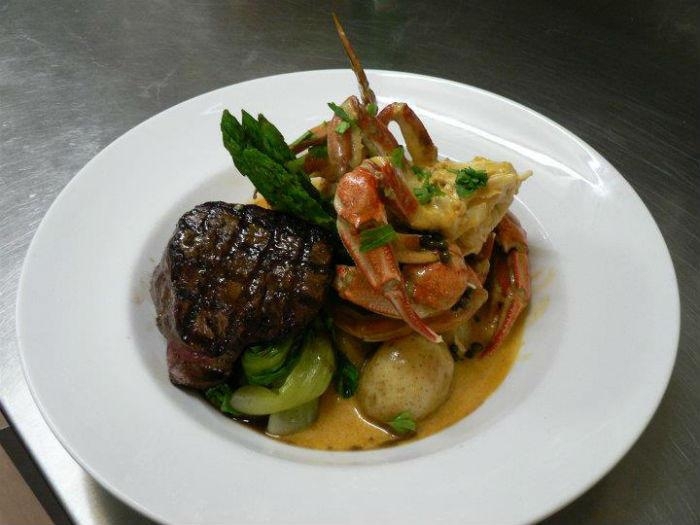 The chefs are also available for out-catering, whether it be a simple BBQ or sumptuous banquet, they can create menus for most catering requirements. 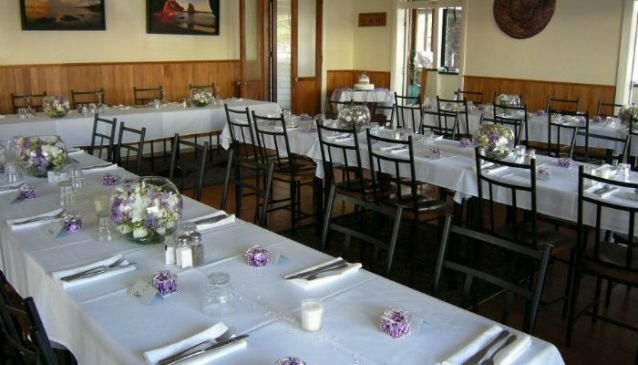 Event Rooms: Main restaurant and Courtyard - 80. 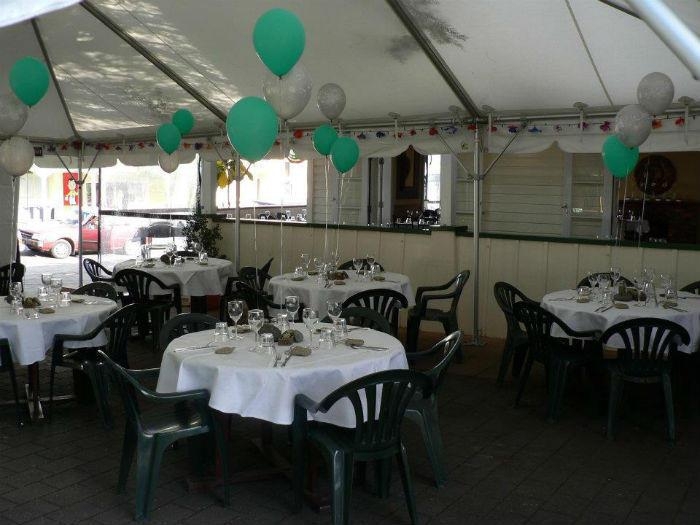 Facilities: Catering, Marquee Space, Small Bandstand/Stage.